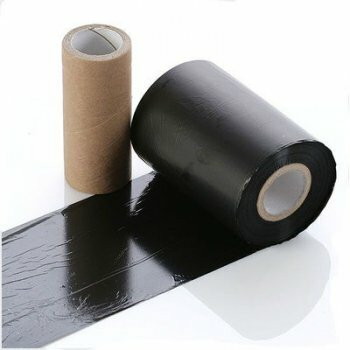 Waterproof black general purpose print ribbon for use on paper and vinyl labels and most horticultural tags such as self-ties and stick ins. The LabelStation print ribbons are developed to give the best possible print quality on a range of label materials. General Purpose ribbon is ideally suited to printing onto our vinyl and paper labels and can be used with vinyl or polyester labels where durable print is not needed. Also recommend for use on our self-tie loop locks and stick in tags. This print ribbon produces a dense print that is ideal for printing product labels and also is ideal for printing barcodes. General purpose ribbon has a high degree of water resistance, with the black ribbons being very UV stable and good fade resistance when used outside.